ASME is devoted to using engineering to improve the quality of life worldwide. Its members provide expertise to meet diverse global challenges and help shape government policy. The ASME Fellow Grade, which recognizes exceptional engineering achievements and contributions to the engineering profession, is bestowed on less than three percent of over 125,000 members. 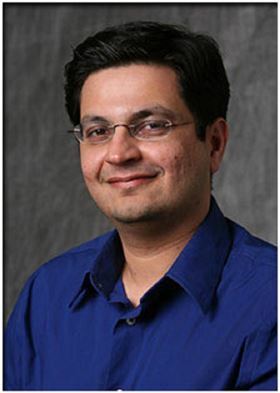 Koratkar’s research is positioned at the intersections of nanotechnology, energy, and sustainability. His research focuses on the synthesis, characterization, and application of nanoscale materials, such as graphene, phosphorene, carbon nanotubes, transition metal dichalcogenides, as well as metal and silicon nanostructures. He is studying the fundamental mechanical, electrical, thermal, magnetic, and optical properties of these one- and two-dimensional materials and developing a variety of composites, coatings, and device applications using these low-dimensional materials. America Makes has appointed Roger Narayan PhD as its new Fellow. Michael Strano joins Carbon Editorial Board.